Dr. Morrell grew up in a small, rural farming community in South Dakota. Prior to moving to the Flathead he worked in a mixed animal practice in Wyoming. He obtained his doctorate degree from Washington State University College of Veterinary Medicine (Go Cougs!). Prior to vet school, Dr. Morrell earned both an Associates and Bachelors degrees in Radiologic Sciences from Boise State University. Dr. Morrell has many professional interests: diagnostics, small animal surgery (soft tissue and orthopedic), as well as general equine medicine. He is available for ranch/house calls or by appointment at Alpine Animal Hospital. In his free time, Dr. Morrell spends time with his wife, Heather and their four kids - Georgia, Keeley, Norah and Jacob. They also share their home with their dog Jig and Stripey Socks the Cat. The family enjoys everything the Flathead Valley has to offer - outdoor activities, skiing, hiking, and great people. Dr. Pitman was born and raised in Whitefish and is very excited to return to her hometown. After graduating from Whitefish High School, Dr. Pitman earned her Bachelors degree in History, with a minor in Biology, from the University of Puget Sound in Tacoma, Washington. She obtained her Doctorate degree from the College of Veterinary Medicine at Washington State University. Dr. Pitman’s professional interests are numerous, and include: soft tissue surgery, ophthalmology, preventative medicine, emergency medicine, and dermatology. 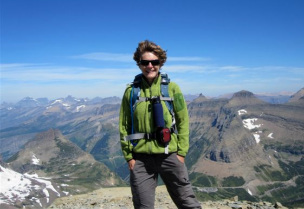 Now that she is back in the Flathead full-time, Dr. Pitman looks forward to enjoying her favorite activities: hiking in Glacier Park and skiing on Big Mountain and in the backcountry. Dr. Pitman played four years of college soccer and would like to play recreationally and coach in Whitefish. She has two Shih Tzus, Sully and Waldo, who she enjoys taking on hikes up Big Mountain. Dr. Pitman’s parents, Doug and Carolyn, and brothers Aaron and Adam reside in Whitefish - she is delighted to be close to family and friends again. ​Dr. Lena Terry is a Kalispell native that graduated from Flathead High School. She pursued her undergraduate studies in Wildlife Biology at Montana State University before attending veterinary school at Colorado State University in Fort Collins, CO.
Dr. Terry’s veterinary interests include emergency care, orthopedics, wildlife medicine, and pain management. Outside of work, Lena enjoys skiing, rock climbing, and mountain biking. She and her golden retriever/border collie mix Zoey and cat Sam live in Columbia Falls.